A new study has stated that using smiley faces or emojis during conversation in office may affect the information sharing and mean professional inability. Now this is something interesting. A new study has stated that using smiley faces or emojis during conversation in office may affect the information sharing and mean professional inability. Sharing smiley faces might seem to be fun but using them in your work emails can do considerable harm to you. People often use emojis in email marketing, however this habit may make them incompetent inform of the reader. The study was published in the journal ‘Social Psychological and Personality Science. The researchers wanted to find out whether using a smiley face or emoji has any impact on the email reader. The smiley face does make an impression but not a friendly one on the reader. The research found out that when people read a happy emoji face in the text of any work email, it made them think that one sending the message was less competent if it didn’t have the emoticon. There are no doubt that smiles pass on warmth and competence in a person. However a smiley face is likely to make the reader share less of information in his/her reply. Researchers from Ben-Gurion University conducted the study on 549 participants who belonged to 29 different countries. All the participants were supposed to read same work related emails that too from a stranger. They had to evaluate the professional ability & competence and warmth of the writer. As a matter of fact, some mails had smileys while others didn’t. 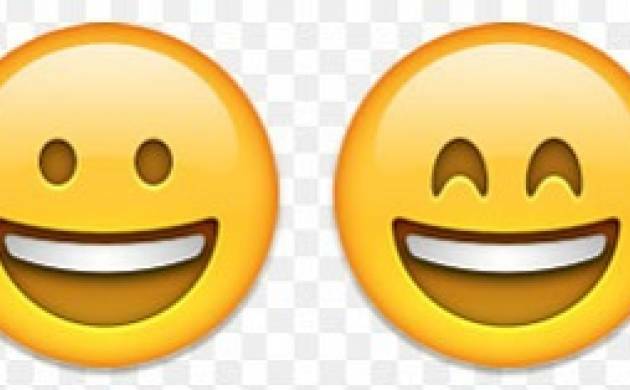 The study indicated that including the smiley emojis had no effect on the participant’s perception of warmth. However it lowered the perception of their competence. It was also revealed that when the participants had to respond to the mails regarding formal matters, they answered it in a detail manner. They included more of content related information when the mail had no smiley. The study surprisingly showed that sexism also exists in this matter. When the recipient is unaware about the gender of the sender, he is likely to assume that email which had a smiley icon was actually sent by a woman, the study revealed.